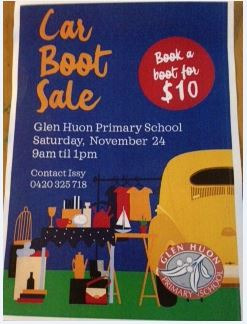 The students at Glen Huon continue to get out and about and represent our school in community events. 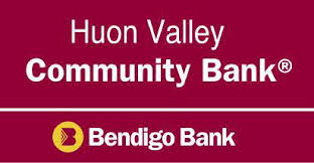 A special thank you to Kate Gray who has worked with our Marimba and Choir students all year in preparation for the Huon Combined Music Concert. Our students' excellent behaviour was commented on by staff from other schools. Well done to the students who participated. 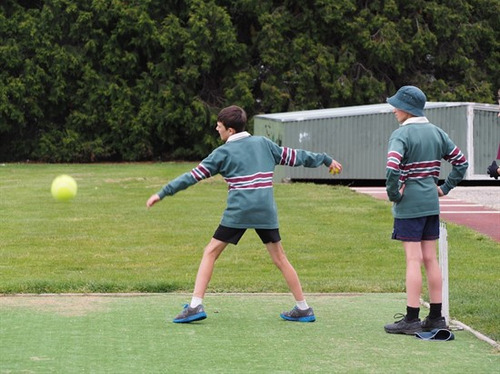 On Friday a large group of students attended the Huon Mixed Sports Carnival. They demonstrated sportsmanship and fair play. 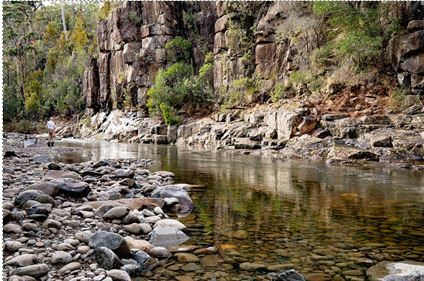 This coming Friday 13 students are heading to the Clarence Plains Child and Family Centre to sing at the opening of the State-wide CF C conference they are singing in language with Dewayne Everett-Smith and the Clarendon Vale Primary School Choir. I had the pleasure of listening to the students sing yesterday. They have worked hard to accomplish a great sound. 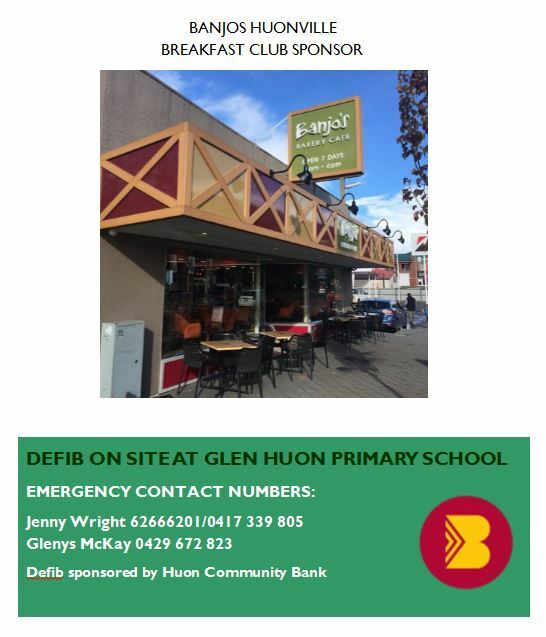 Thanks to Gen Dorian who has supported them. 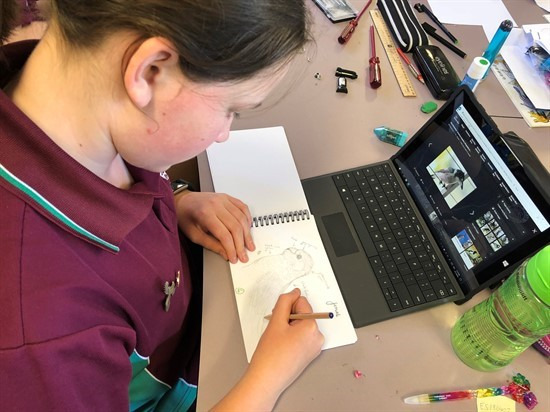 Grade 5/6 have their Genius Hour projects well underway. Each week we spend one hour on a project of our choosing. 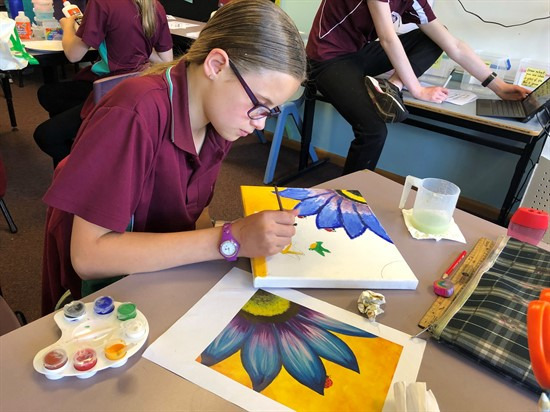 We have artists learning new painting techniques and creating masterpieces, dressmakers designing and creating a piece of clothing, a gamer coding a video game, an engineer building an iPad charger, a paper maker, the authoress of a children’s book and an apiarist in the making. We also have several researchers studying topics as varied as the personalities in our room. 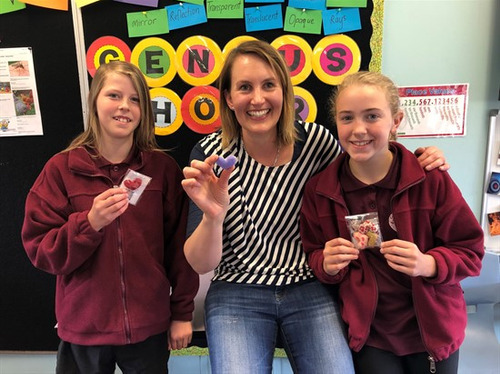 On Friday we had a visit from Sarah De Jonge who heard about Mia and Amity’s genius hour project and wanted to meet them and the kids from our school. Mia and Amity have joined in the ‘1000 Hearts’ kindness movement started by Sarah two and a half years ago. The girls aim to sew enough pocket hearts for each student at our school and a second one for them to give away. That will be 280 hearts in total to let people know they care and spread kindness. It is great to see the students pursue interests of their on with an inquiry based learning approach. We’re all very eager to see the finished products and presentations from the 5/6 classroom. Pretty Flipped Day is just around the corner! On Friday 23rd November, we are challenging our community to flip a piece of clothing inside out for the day. Together let’s flip the way our society portrays girls value and make a commitment to valuing girls from the inside rather than the outside. We will be teaching all children the same message that it's what's on the inside that counts. On Friday 2nd November, a number of Glen Huon students from Grades 4, 5 and 6 attended the Huonville Sports Expo at the Huonville Community Oval. 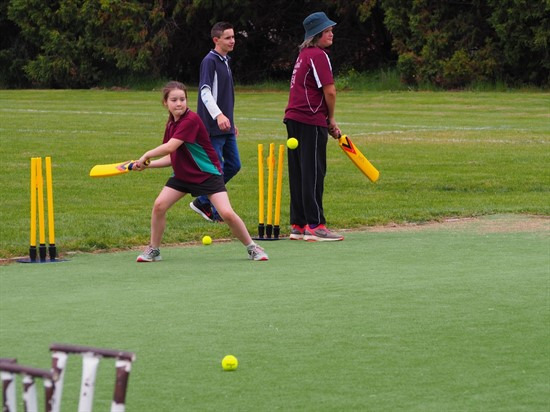 The day was organised to give students an experience of various sports. 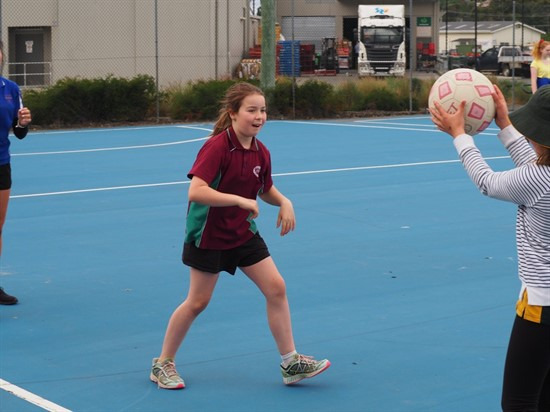 Five sports were represented by local clubs – cricket, AFL, soccer, netball and basketball. 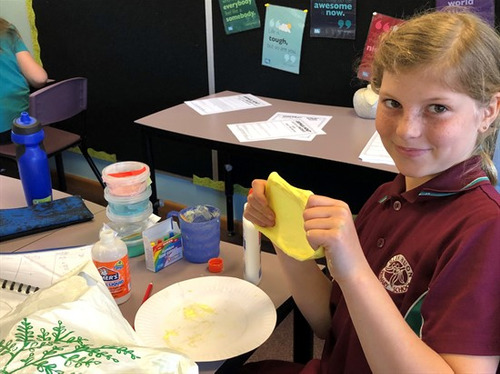 Our students really enjoyed mixing with students from the other Valley schools, Huonville, Franklin and Cygnet. 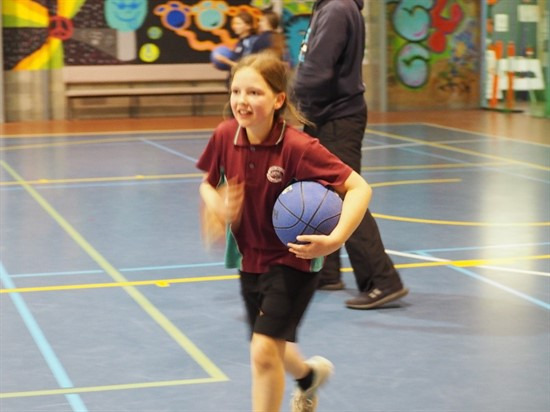 Each student completed a circuit of all the sports stations. 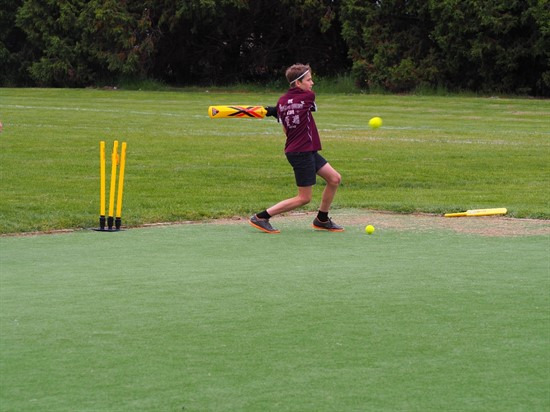 Many are keen to join an after school sport as a result, finding a new interest in a sport they had not tried before. 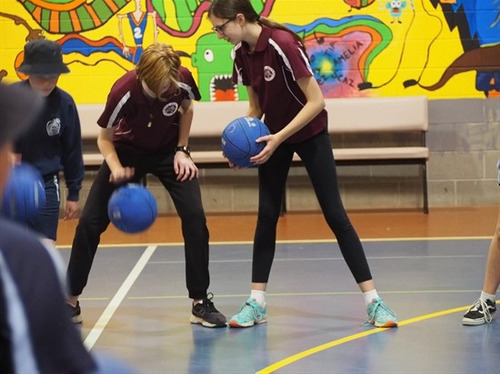 After lunch, students nominated the sport they enjoyed the most and were able to play in a school versus school round robin. 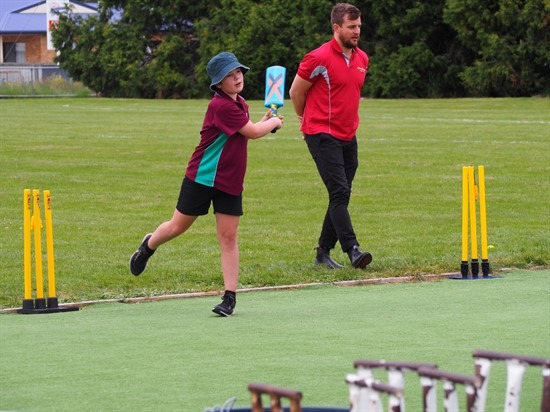 Thanks go to Mrs Kruse from Huonville PS for organising the Expo, all the teachers, parents and representatives from various sports clubs who volunteered their time to make the day possible – Kingbrough Kings, Kingborough Tigers, Huon Valley Netball Club, Huon Valley Soccer Club and Huonville Bulls Cricket Club. Special thanks to Bendigo Bank for sponsoring the Expo. This week in Smarties we're learning about dinosaurs! I wish I could bring a live dinosaur in, but I can bring a real fossilized dinosaur tooth to look at! 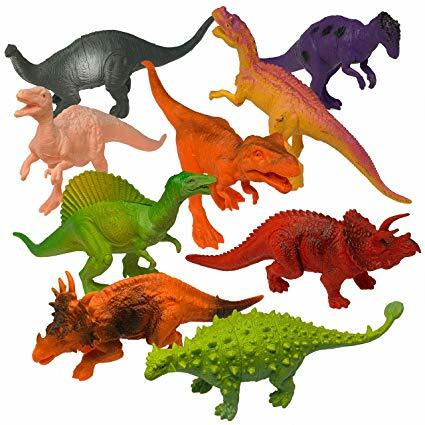 On Wednesday we'll play with the toy dinosaurs, make dinosaurs of our own and bake dino bickies! 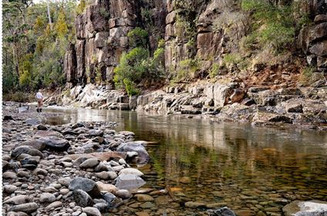 On Thursday we're off on our excursion, the bus leaves school at 9:15 and returns at 1 - come and join us for a beautiful bushwalk and picnic by the river! On Friday we'll work on our balance skills, read about dinosaurs and make a 3D dinosaur mask, Roar! The Student Assistance scheme provides assistance for some families towards the cost of levies. Families who were approved and received Student Assistance in 2018 have been sent correspondence regarding STAS directly from the Department. Completed application forms can be directly returned to the Department by post, or they can be dropped in to the school office for posting. For parents enrolling for the first time, application forms are at the school office. Please check the table below to see if you are eligible. Special visitor to our school. Last Friday we had a visit from a very special lady, Sarah De Jonge. 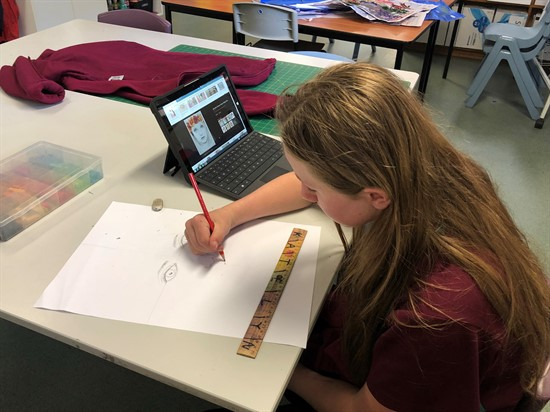 Sarah came to Glen Huon in response to an email from Mia in Grade 5/6. Sarah started a now global kindness project over two and a half years ago called 1000 Hearts. It started with Sarah setting herself a goal to make 1000 small hearts that could fit into a pocket and be carried by someone who needed a little extra kindness or love if they were facing a rough time in their life. Sarah was able to accomplish her goal, making and handing out the hearts, in a little over 3 months. Today Sarah confesses to having made over 9000 hearts herself but cannot number the hearts being made and given out by others all across the world. She has requests from people in countries where disasters have hit and from people who want to give them out to let others know they’re not alone. 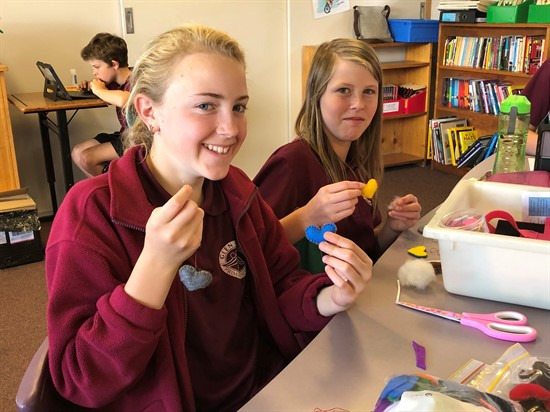 Mia and Amity have taken Sarah’s project on board and have started making two hearts for each person at our school. One heart is for each person and the other is to be given away to someone they care about or know that needs a little boost. Students from Grades 3-6 were able to meet with Sarah and learn about her story. Sarah then had us all sewing a heart of our own and writing a small note to give away with the heart. 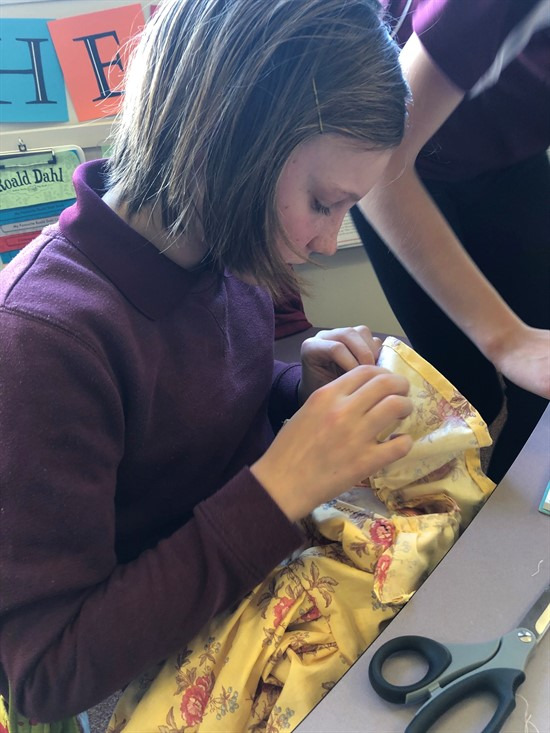 This was a first time sewing experience for many and it was great to witness the determination to accomplish a tricky task. Once we had completed our own hearts, Sarah gave us one from her and encouraged us to spread kindness wherever we go. She told us about the ripple effect that kindness has once it has begun. Sarah is a great ambassador for achieving global status by spreading kindness.